We consolidate the diverse product lineup of products that our plants have been manufacturing For Generations. We are glad to share with all our customers more than 100 years of product engineering and case studies all over the world. McWane International gathers a varied team of professionals ready to assist you on your projects worldwide. McWane International is proud to represent worldwide all the reputable manufacturers under the McWane, Inc name. 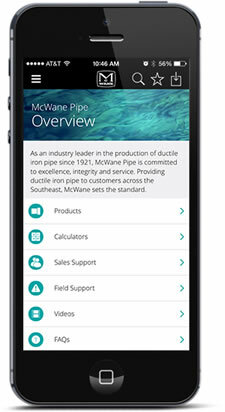 Please check out our publications to see some of the exciting things happening at McWane and our companies. Jose Sanchez Jimenez, Rita Scott and George Williams completed their OSHA 10-Hour course on February 6th. All three are recent additions to the Manchester Tank – Elkhart safety committee. The Elkhart facility now has 40 team members that have received their OSHA 10-Hour certification. This group includes managers, supervisors, team leads and safety committee members. Thanks to Jose, Rita and George for expanding their knowledge of OSHA regulations and hazard recognition and continuing to make our company a safer place to work.